PowerDNS is a high-performance DNS server and recursor written in C++ and Zabbix can easily keep track of how it’s doing! It runs on most Unix variants. It features a large number of different back-ends ranging from simple BIND style zone files to relational databases and load balancing/failover algorithms. A DNS recursor is provided as a separate program. 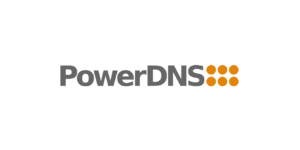 Also, the history of PowerDNS is very intriguing and more can be found about it here. Below are instructions and template for monitoring vital statistics of both the PDNS authoritative server and the PDNS Recursor. Using the Zabbix Agent, “pdns_control” and “rec_control” are regularly polled for statistics about the PDNS authoritative server and the PDNS Recursor. When appropriate, items in the two templates have been created using “Store Value – Delta (speed per second)”. Remaining items that present “current state” information (like Uptime, Latency and Security Status) are stored “As is”. Running “pdns_control” and “rec_control” requires root privileges and thus it is required to delegate root authority to the zabbix user for these two binaries specifically. First, head over to Zabbix Share to fetch the template. Previous Post Template: Are your servers blacklisted?